1. I don't care about punctuation, grammar (isn't that one of my parent's mothers anyway), as long as people understand. 2. There are rules to writing and these need to be adhered to (oops, almost ending a sentence with a preposition); anything else is lackadaisical. 3. I can't read anyway, so who gives a (enter your favourite phrase). It you fall into the middle category, you are going to love this App. To call WriteRight a text editor could well be the understatement of the digital age (well, nearly). When you first open the App you are asked to choose between Spanish and English (US), in order to get the best out of the App. Don't be concerned about the US tag, it seems to work perfectly in UK English as well. One of the particularly appealing aspects of the App is that you have plenty of space to type, with excellent spacing. Just above the keyboard are some shortcuts to commonly used punctuation marks, in particular those that require an opening and closing (like this). Where things get clever is that tapping any word will NOT ONLY bring up the usual iOS niceties but also synonyms and antonyms. This makes writing easier as inspiration is never far... as long as you know what you want to write about. Although there are some buttons to allow you to preview your text in various formats, what you are actually saving is straight text. This has the advantage that, being bereft of formatting, you can beautify your text in whatever editor you prefer. The App actually uses Markdown so that your text can easily become HTML code (and you can also be blissfully unaware that this is happening in the background). Your work can be saved in iCloud, as well as the ubiquitous Dropbox. The App costs $3 and is worth every penny. If you care about, and take care with, what you write, this App will help you. The only thing that doesn't work perfectly is that, when searching for an antonym, if the word is not in the App dictionary, you get the message '... word you are searching is a word in Spanish...'. The App seems to deal with carriage returns in a quirky way. This means that opening your notes in Notepad will result in sentences being contiguous. There are no issues with the App, just the usual proviso about iCloud and Dropbox. Enables you to concentrate on content and let presentation take care of itself. 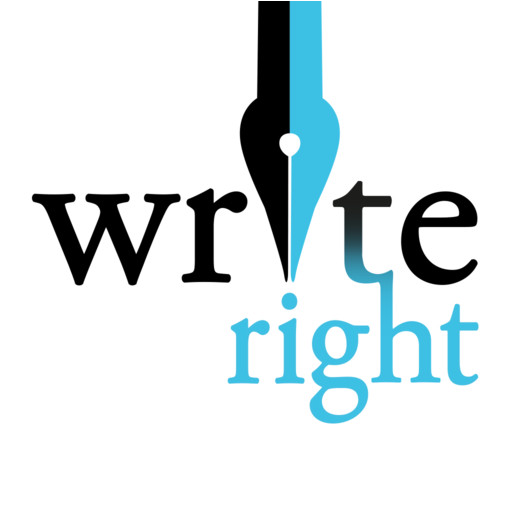 You can get WriteRight here and support for the App here. * We've fixed stability problems and sudden crashes. * iCloud sync is much stable now.